Nancy Laurier Atwell was born on 18 February 1940 in Worcester County, Massachusetts. Daniel Joseph Atwell and Madeleine Laurier appeared in the US federal census of 1 April 1940 in Shrewsbury, Worster County, Massachusetts, at 207 Maple Avenue. Other members of the household included Nancy Laurier Atwell, Georgette Ganin. Daniel Joseph Atwell and Madeleine Laurier arrived in the Port of New York on 26 February 1951, accompanied by Nancy Laurier Atwell aboard the SS Veendam, concluding a Havana-Nassau cruise. Their residence was recorded as 27 South Van Dien Avenue, Ridgewood, New Jersey. 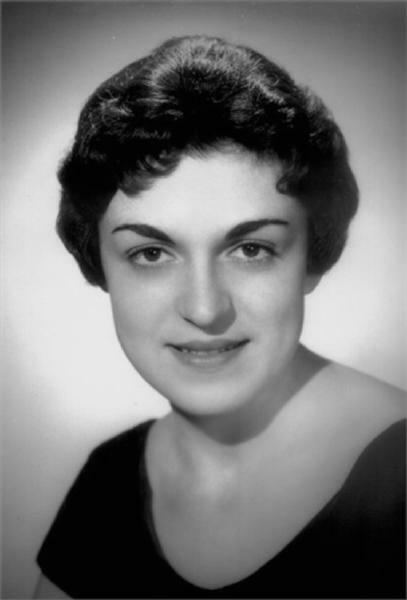 The following appeared on 16 June 1960 in The Suffolk County News: Miss Nancy Laurier Atwell, daughter of Mr. and Mrs. Daniel Atwell of Ridgewood, N.J., and Mr. Stefan Stilwell Semple, son of Mr. and Mrs. Jack Semple of New York and Coates Avenue, Holbrook, were married on Saturday in the Packer Chapel at Lehigh University, Bethlehem, Pa. The Rev. R. E. Fuessle officiated at the ceermony and the university organist, R. B. Cutler provided accompaniment. A reception followed in the Candlelight Room of the Hotel Bethlehem. Mrs. Semple attended the House in the Pines School, Norton, Mass., and the University of Pennsylvania, in Philadelphia. Mr. Semple is a graduate of Charles Evans Hughes High School, New York, Pennington Preparatory School and Lehigh University. He is continuing his studies at the graduate school of New York University and is with Dancer-Fitzgerald-Sample, Inc., an advertising agency. After a trip to the Pocono Mts. and Jamaica, B.W.I., the couple will live in New York. The following appeared on 26 February 1977 in The Bradford Era: (Wyckoff, N.J.) Private funeral services for Daniel J. Atwell of Woodcliffe Lake, who died Monday in Lourdes Hospital, Binghamton, N.Y., were held this week under the direction of the Vander Plaat Funeral Home here. Born at New York City, Mr. Atwell was a resident of Ridgewood before coming to Woodcliffe Lake 15 years ago. He was married to the former Ann Reynolds Shelgren, a former Bradford, Pa., resident, who survives. He was employed by Dresser Industries as district sales manager for New York before his retirement in 1975. Surviving, in addition to his wife, are a son, Michael Atwell, a daughter, Mrs. Nancy Semple, and four grandchildren. Nancy Laurier Atwell died on 24 May 2013 at age 73 in Cummaquid, Barnstable County, Massachusetts, at her residence. The following appeared on 30 May 2013 in The Barnstable Patriot: (Cummaquid) Nancy L. Semple, 73, of Cummaquid, passed away peacefully at home May 24, 2013 after a courageous battle with cancer. She was the wife of Stefan Semple for 53 years. Mrs. Semple was the daughter of the late Daniel and Madeleine Atwell of New York City. She was born in Worcester and raised in Shrewsbury, and Ridgewood, NJ. She and her husband raised their three children in New Jersey and spent summer vacations on the Cape until moving to Brewster year round in 1993. For more than 15 years Mrs. Semple worked with her friends at the Hopkins House Bakery & Gift Shop in Brewster until she was unable due to her illness. In addition to her husband she is survived by her three children, Laurie and her husband Jim McCarthy of West Barnstable; Alyssa of Mansfield, and Daniel and his wife Lynn of North Haven, CT. She is additionally survived by three grandchildren, Daniel McCarthy of West Barnstable, and Ryan and Emily Semple of North Haven, CT. She also leaves her brother Michael Atwell and his wife Belinda of Milford, MI, along with her nephew Jonathan Atwell. Her family would like to express their deep gratitude to the nurses and caregivers of VNA of Cape Cod for their care, compassion and support. Friends may call on the family at an informal gathering June 1, from 3-5 p.m. in the Morris O'Connor & Blute Funeral Home, 58 Long Pond Drive, South Yarmouth. In Mrs. Semple's honor, the family requests that mourners adopt a pet from a shelter, plant a tree, or perform a random act of kindness in her memory.